I always cry when reading this... I'm actually afraid to read the whole boek but specially this chapter... I would like to skip the whole part and start when alice returns..
2, No I don't create many relationships, becuase usually people end up hurting you or disappoint you... I only have a few good relationships that I know will survive anything..
3, I hoped he would run back to her, but I was so caught up in the story that I felt just as desperate as Bella. 5, I was so shocked by edward leaving that the month flying by were very shocking as well. No I just knew something bad was going to happen. I was shocked that he left b/c he was a main character so yes it did take me by surprise b/c for the most part he was not in the book. No I felt surreal to me. I thought maybe he was still in Forks keeping a watch on her the whole time till the end. No I didn't believe him at all. He shows us from the beginning what Bella means to him. Well since I usually figure out movies and books which my sister can't stand,I knew from the title it was going to be about werewolves. Even though after I was done reading the series SM states on her website that is not what the title meant. I am a huge vampire fan for most movies and books. So it is really hard to surprise me. I will be hones though this is my favorite book/movie by far. 5. Describe your reaction as you read the "months" pagesI am going to be honest I thought I had a defective book! I seriously thought pages where missing in between the months. 1) I honestly had no idea this was coming. This took me by surprise.. 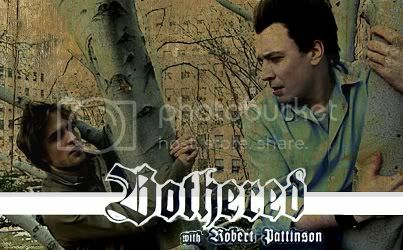 I was sooo mad that Edward could/would do that. 2) Yes, I have felt that desire to grasp desparatly for a slipping relationship...so much that I became very annoying to be around. 3) Yeah, that was a rough speech.I was so fired up...Just like, OMG...how DARE he!!! I wasn't expecting him to run right back to her. I thought he'd call first, (which he technically did..after 7 months.) But I didn't think i'd take him THAT long. I can't say I believed him as much as she did, although, if I were in her shoes, I'd probably believe him just as much. I was clueless. I knew it wasn't was Bella was thinking: She leaving Forks with them. So I was really anxious when Edward asked her to walk with him. And then BAM! I'm leaving you. God knows I didn't saw that coming! I IMMEDIATLY burst into tears! I couldn't believe it. Really, really, I was in shock. Yes, once. But I got over it. I didn't believe he didn't love her. I was sure it was hurting him also. And God those were harsh words! I thought that was going to be a long conversation, I thought Bella was going to beg him to stay. But she was just quiet! I was so desperate, TELL HIM, GIRL! TELL HIM DON'T GO! FIGHT! But she was just there. I was trembling. I kinda hoped he would run back to her, but somehow I knew he wasn't going to. That just made me cry harder. I didn't care! I was crying for Edward too. Okay so, Edward leaves. I cry. Sam finds Bella, takes her home. She sleeps. I stop crying. Bella wakes up, goes to her room, and there's no reminder of Edward. She's in the floor. I start to hyperventilate. MONTHS PAGES: I start crying. I knew something bad was going to happen,.. but I didn't think he'd be leaving forever!! As if he never existed.. what?!? crazyness! Once. Sometimes you think things are different than what they are. Whenever you get into a situation where something is leaving forever, you try to hold onto it. I believed he was going to leave. Edward isn't one who plays around very much. But all I could think was, REALLY Bella? After all the things he's said and you're believing he doesn't want you anymore and just loves you "in a way".. but she doesn't see how great she really is, so I believe how she fell for it so quickly. At first, before he appeared.. I thought maybe an animal was going to attack her. His presence struck me as kind of different.. I wasn't really quite sure what to think about it,.. I definitely didn't think he'd become a larger character in this story. I about freaked out!!! I was just like "YES!!!!" I felt it was absolutely PERFECT the way she did that. My love for SM went double after that. I could say that I felt something scary was going to happen. But I didn't expect that he would leave her, eventhough it didn't surprise me much. I realised that he was doing it for her good, but I will never understand his cruelty. I never believe him. I know he was lying. As I earlier said I will never understand his cruelty that day. I wasn't expect him to run back at her. I expected her to start searching for him. Well I cant say I had some strange reaction. I just thought he was in forest and luckily find her. 1. Did you feel a sense of foreboding in this chapter? At what point did you feel what was coming? Or did it take you by surprise? Yes I felt a sense of foreboding. It only somewhat took me by surprise. I think most people have. Sometimes you are so happy or set in your ways with someone the idea of not being with them is the equivalent of the world falling apart. Sad. I knew Meyer was trying to give us the impression of time filled with emptiness simply passing Bella by. Living life lost in a shell. No, I wasn't caught off guard. I knew something bad was coming. I mean, with a chapter titled "The End" it's never good. Once. But it's a painful memory. I believed he was saying these things so Bella would not be as hurt by him leaving and would move on. I was a little confused. I mean, he was mentioned only once, so why was here. And the sounds she head, never occurred to me about a wolf. I just thought Bella was slowly losing her mind. It was heartbreaking. I know depression, when the days just bleed together and you barely function. While it's never been as bad for me as I'm sure it was Bella, I can empathize. I already sensed the foreboding at the end of the first chapter. I did not believe a word he said. BUT I didn't expect him to come back either. I think he thought it was best to leave, no matter how he would succeed in doing that. I thought he must've known more, that he believed the legends. I thought it was done well. It really showed how Bella felt: numb, not noticing the world around her. The first time I read it, I was shocked. Horrified. Sad. It was the last thing I expected, really. And still, every time I read it...it still breaks my heart. Oh yes. I think that's human nature. Hearts rarely break even...and someone always has to be the one to leave, meaning someone always has to be the one left behind. No. I didn't believe his words, but I believed his actions. I think he loved Bella and didn't know how to balance. He was lost, and lashing out. He underestimated her love for him...and he didn't know the greatest pain she'd ever feel would be by the one thing he tried to selflessly do. I couldn't have cared less about Sam at the time. I was reeling. It was like slow a burn. I cried my way through most of the book--it's the pinnacle of the series for me. I read those chapters--Stephenie Meyer didn't need to write a single word--and yet she described Bella's life in the most vivid detail possible. Nothingness. Emptiness. A void. I've reread the series twice now...and when I reached those pages for the second time, it still blow my heart to bits. I was physically sick of her. I felt that pain.